Dimensions 0.55 by 7.75 by 9.75 in. 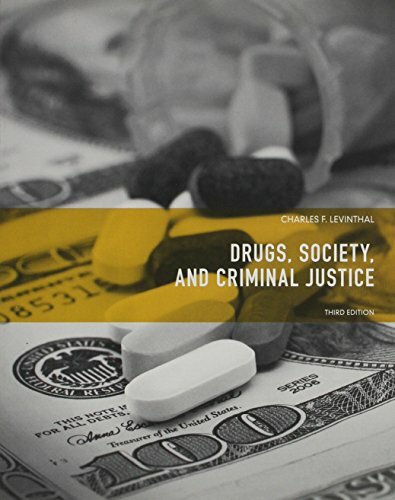 Unique in approach, DRUGS, SOCIETY AND CRIMINAL JUSTICE, 3/eÂ examines drug use, drug misuse, and drug abuse from a criminal justice perspective. Building on sociological theory, it explores the social problems associated with drug use and the theoretical reasons for drug use and abuse. Moving beyond a sociological focus, it delves into the complex relationship between drug-taking behavior and crime. Discussion-starting features spotlight prominent figures, drug trafficking realities, and life-saving information as the book explores how drug use and abuse impact the criminal justice system.